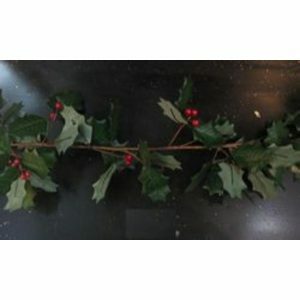 Christmas Kingdom’s selection of Pics and Spray will excite every holiday decorator! Choose from a wonderful assortment of pics and spray to add flair to already-existing centerpieces or just create your very own! 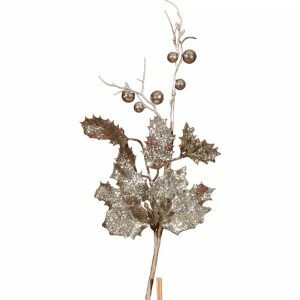 It’s easy to create your own beautiful holiday table centerpiece using Christmas Kingdom’s wide selection of beautiful Pics and Spray. Just start with an existing table centerpiece, or choose from Christmas Kingdom’s selection of start baskets in the “Festive Decor” section. Now you can add Pics and Spray to add your own colour and flair. You can create a wonderful holiday display to warm up any room in your home with Christmas Kingdom’s Pics and Spray selection. 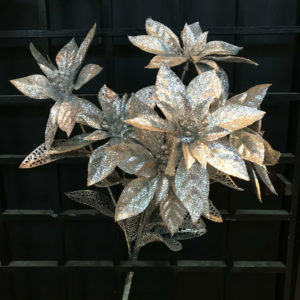 Try pairing red poinsettia branches with assorted beaded pics for an easy and simple way to add red and silver colour to your Christmas holiday decor. 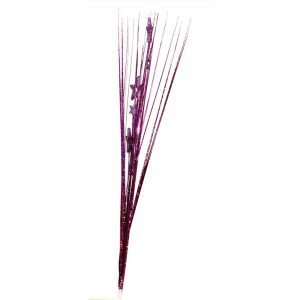 For trendy themes, try adding peacock feathers and beaded assorted pics! 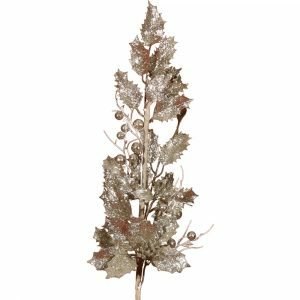 Christmas Kingdom has everything to suit your holiday decorating needs. For a more traditional decorating route, try the regal fruit pic. Or, start with the regal fruit pic as a base, and add Christmas Kingdom’s selection of pics and spray to create a mantle display, table centerpiece or decoration for underneath the Christmas tree. 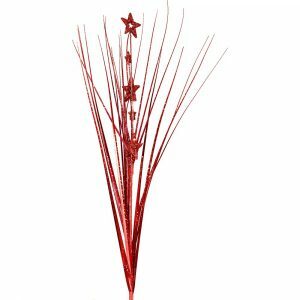 Christmas Kingdom’s wide selection of pics and spray includes red poinsettia branches, which features a delightful vibrant red to compliment your holiday colour theme. The poinsettias flowers and delicate bead details are a perfect compliment to add dimension and life to any Christmas decor. 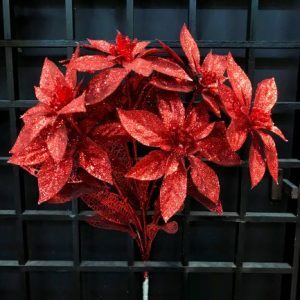 Want to take your poinsettia to the next level? For more glitz and glam, Christmas Kingdom adds gold and berries to the poinsettia branch. By framing the delicate poinsettia leaves in gold, Christmas Kingdom adds a glamorous touch to the Christmas season. 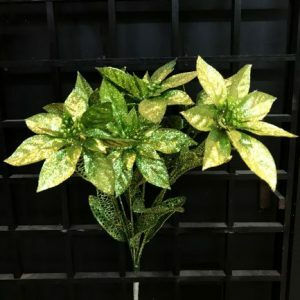 Lifelike berries and pops of holiday greens and sparkly gold branches make this poinsettia eye-catching and a delightful addition to any home. 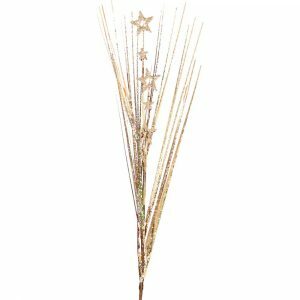 If your home has a gold theme, check out Christmas Kingdom’s selection of gold poinsettia branches and assorted Christmas floral branches covered with lots of fun glitter, designed to add sparkle and texture to your holidays.